Cost effective system that will save you time and money. 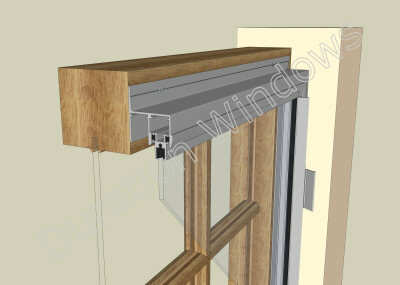 Slim-line face fix system - that is easy to install. The odd leg or flange comes pre-drilled for ease of installation. Perhaps more suited for commercial applications - due to its emphasis of substance over style. If the style of secondary glazing that you require is not available in this system you may wish to check out our Luxury Subframe System and Heavy Duty System.